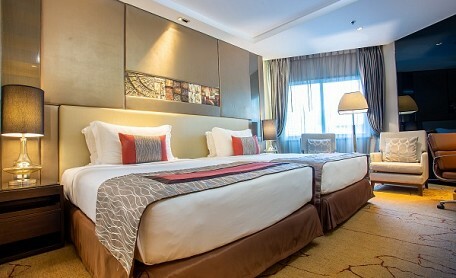 Graceland Bangkok offers relaxed and upscale experience in the hotel with strikingly modern design in central Bangkok. 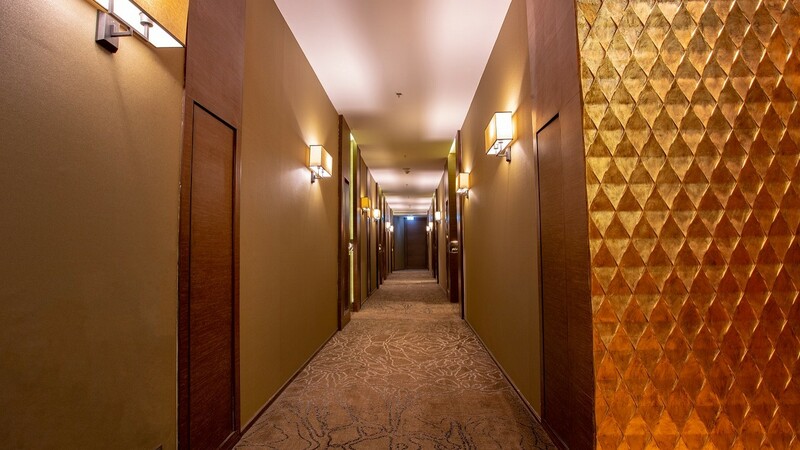 Our hotel is located in the lively city center, guests are moments away from major attractions, shopping malls, and entertainment areas. 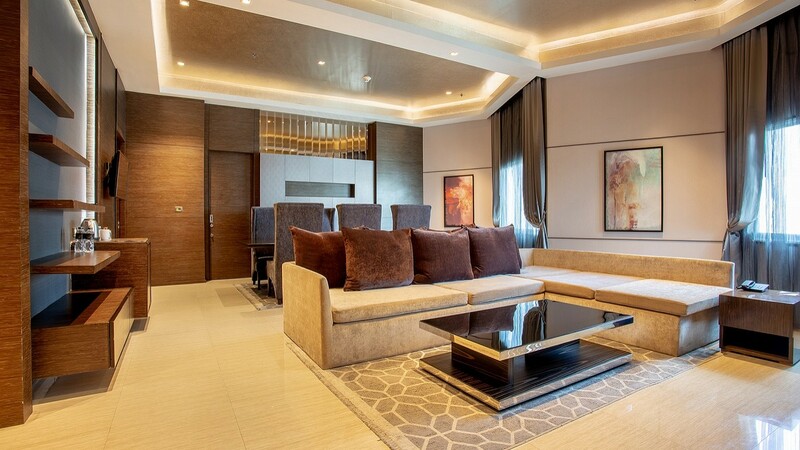 Enjoy the full luxurious furnished contemporary décor with a marble entrance area opens into a carpeted bedroom area appointed with one king size or two single size beds. A living area of 31 square metres including a spacious bathroom with a glass-enclosed shower and bathtub. 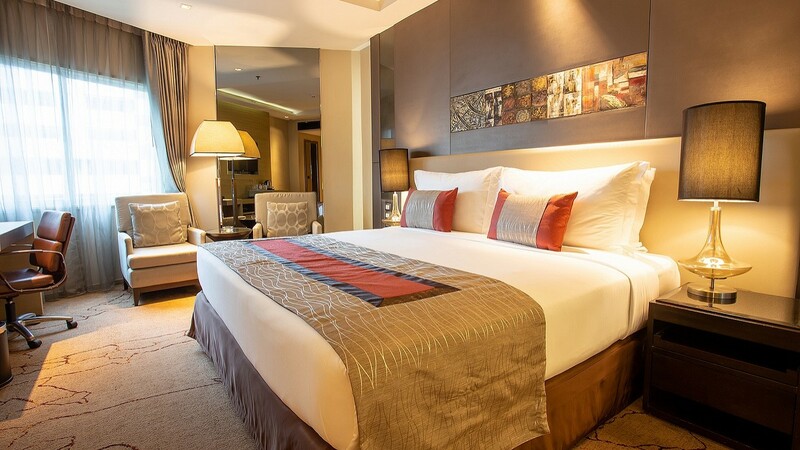 With a living area of 31 square metres, a soothing décor and a host of amenities at your fingertips, you can relax and enjoy rooms' feature with a king-size bed or two single beds and a spacious bathroom with rain shower and bathtub. 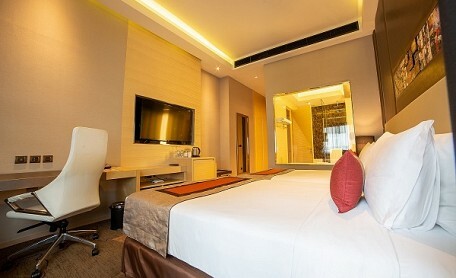 Deluxe Rooms offer the perfect blend of comfort and elegance and a genuine home away from home experience. 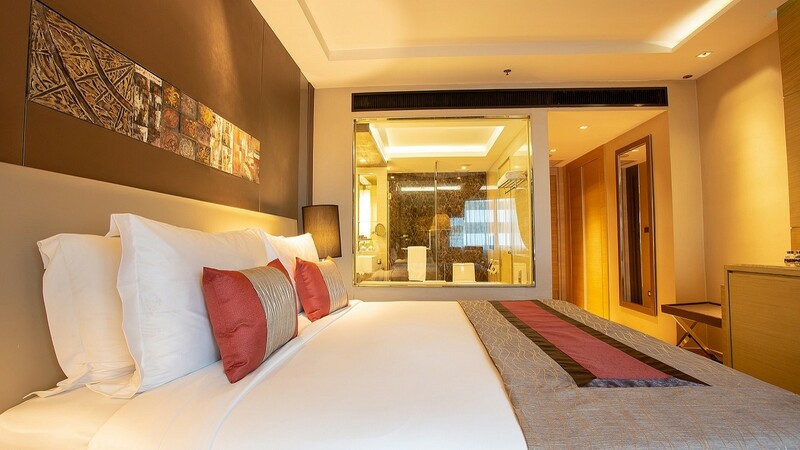 All Grand Deluxe rooms have 31 square metres of living area with two double beds to sleep in comfort, a spacious bathroom with a glass-enclosed rain shower and a bathtub, and a seating area with work desk. 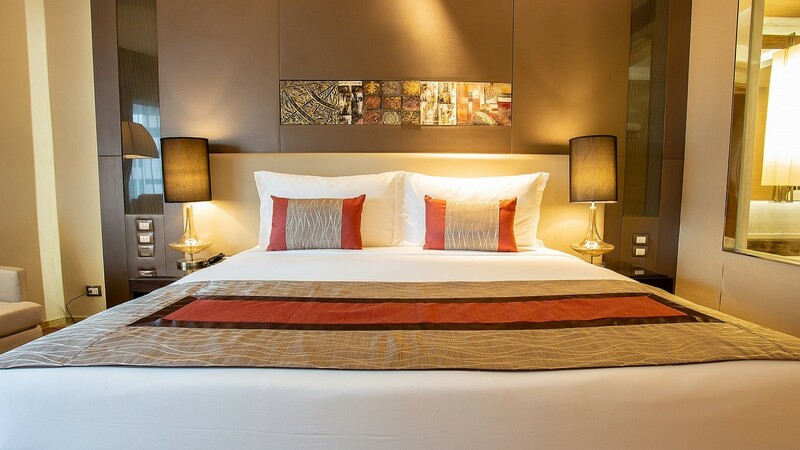 Amenities and services at your fingertips such as 55" flat-screen TV with in-house and high speed wireless internet access, individually controlled air-conditioning, minibar, tea and coffee making facilities, and in-room safe and hairdryer. Honeymoon Suites offers optimizing privacy and exceptional comfort in a luxurious and well-appointed suite that surpasses expectations. 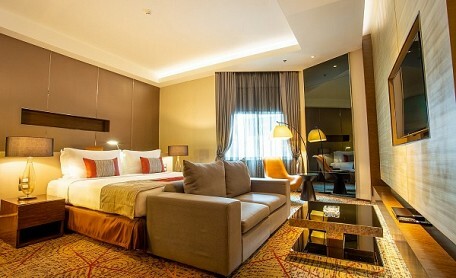 Attractive king size bed, living areas of 50 square meters with comfortably relaxed sofa and 55" flat-screen TV, and a modern style bathroom with its luxurious amenities. 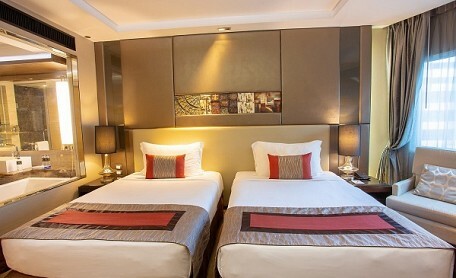 These suites are extremely desirable for all couples looking forward to be pampered.